Science, engineering, and technology students: - Check out this study abroad program designed for you. As firms become increasingly international and the workforce more diverse, students need to develop competencies to contribute to the global technical workforce. This class develops students’ awareness and ability of cultural issues, communication, teamwork, and collaboration tools. In addition students will participate in a short term study abroad program visiting one of the University's strategic international partners. On the visit students will interact with the host university and students, with local technology firms, as well as explore local culture. The Global Technical Workforce is a 3 credit course (ENGR 3001) that includes a short study abroad component. The course helps students develop competencies that enable them to contribute to the global workforce and then provides an opportunity to visit and interact with technical professionals in an international setting. The course satisfies Diversity and Culture or Social and Ethical Issues for Breadth of Knowledge requirements. Different sections of the course travel to a variety of our international partners so students can select the location of interest to them. The course aligns with the “global theme” of UC Honors and it is approved for International / Education Abroad designation. 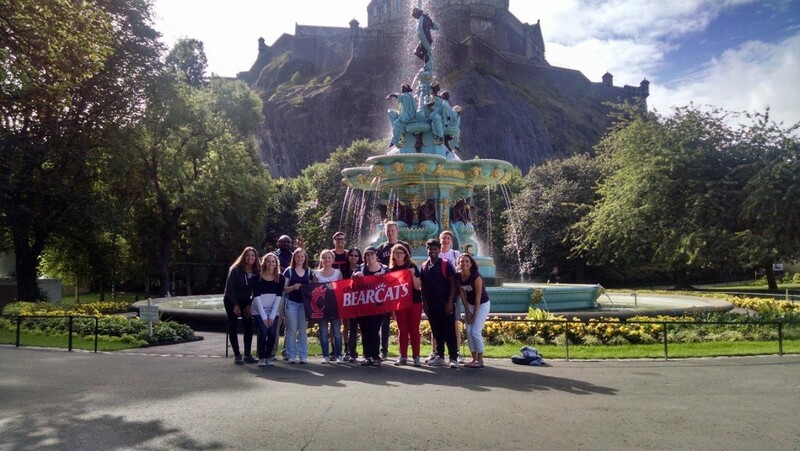 Students in the course participate in a short-term, faculty-led study abroad. Locations vary. Follow the links to see what students say about the visits and their experiences.